This volume has been produced to honour Professor Alasdair A. Macdonald on the occasion of his retirement from the University of Groningen. 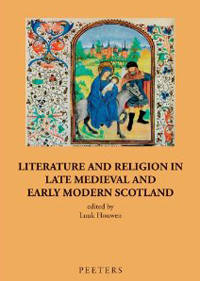 It contains eleven essays from leading specialists in late medieval and early modern Scotland whose range of expertise reflects Professor Macdonald's wide interests and ability to move with ease across disciplinary boundaries. The editor has also achieved the feat of producing a volume with strong and related themes of literature and religion and thereby creating a real sense of unity within the long chronological range from fifteenth to seventeenth centuries. As one would expect for studies within the genre of Middle Scots literature, familiar authors appear, such as Walter Kennedy, Gavin Dunbar or Robert Henryson. The volume's strong religious theme has helped produce new perspectives on the work of these well-known figures. Henryson's The Preaching of the swallow was a moral tale but Luuk Houwen reveals how very unswallow-like this sedentary bird was and how Henryson's characterisation has been dominated by his portrayal of the battle between the body and the soul. Similarly, the examination of the religious elements within Dunbar's poetry opens up more aspects of this complex man. They show he can laugh at himself and other 'kirkmen' as well as write in the Prologue to Book X of the Aeneid with great devotion combined with intellectual and theological precision. These insights will reinforce the more nuanced picture that is emerging in ecclesiastical history of the Catholic clergy in the first part of the sixteenth century. An unusual dimension within the thought of another famous Scot, John Mair, has been explored by Alexander Broadie who explains how Mair deals with the common medieval question of divine creation and conservation of the world and adds an interesting comparison to Descartes' discussion of the same problem. Professor Macdonald's current project on the Gude and Godlie Ballatis attributed to the Wedderburn brothers of Dundee has helped inspire Michael Twomey's study of The Complaynt of Scotland. This was probably composed in 1549 by Robert Wedderburn and has normally been treated within the context of the Anglo-Scottish wars raging at that time. Twomey reveals the pastoral encylopedia embedded within the Complaynt's 'Monologue Recreative' and sets it within its wider context of Scottish cosmography. He makes a strong case for the importance of the Shepherd and his moral 'voice'. One of the strengths of the volume is the lack of any sense of a restricted canon and the introduction of new works and new forms of evidence. Jamie Reid-Baxter has recovered the poem The Winter Night (c1581-2) with its links to the Gude and Godlie Ballatis from its chequered printing history. He is able to locate its author, James Anderson, in his proper context within the Angus region explaining the poem's dedication to its Grand Old Man, John Erskine of Dun, and its place within the complex disputes facing the Reformed Kirk. In a most impressive feat of literary and historical detection, Priscilla Bawcutt presents the Scottish healing charms that have survived in a number of manuscripts and demonstrates how much can be understood by a close examination of these 'holy words of healing'. By contrast to this wide lens, a tight spotlight beam has been shone by Janet Hadley Williams and Kenneth Dunn upon a single manuscript and its history down to its deposit in the National Library of Scotland in 1935 with their examination of Adam Abell's prose chronicle The Roit or Quheill of Time. The religious theme is as inclusive as the literary one and moves easily across the divide so often imposed by the Scottish Reformation of 1560. Paying tribute to Professor Macdonald's well-known research on late medieval devotion, the Scottish Legends of the Saints and Kennedy's use of Marian and passion motifs are examined by Regina Scheibe and Nicole Meier. 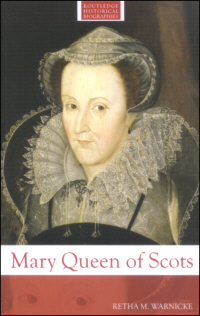 The very different world of Protestant radicalism and the pressing need to cloak it with a culture of nostalgia is expertly dissected in Michael Lynch's study of the hurried coronation in 1567 of the baby James VI. The adult King James' translations into verse of the psalms have been rescued from the literary dustbin by Derrick McClure. Although committed to this project, the king was unable to correct or finish his poems. Their great metrical variety showed James experimenting, though it also had implications for where and by whom his versions of the psalms might be sung. This points to the complex cultural world fanning out from court, where royal interest and patronage were so important, and linking to more popular forms of Protestant piety and devotion in the metrical psalm-singing in church, household and street. Professor Macdonald has always been aware in his own research of these broad spectrums of culture and it is fitting this is reflected within the volume's essays. This book adds much colour and depth to our understanding of literature and religion within Scotland whilst also reflecting a deep awareness of wider geographical, intellectual and disciplinary horizons.